Hula Ville – Route 66 folk art attraction became a legend | Best Road Trip Ever! 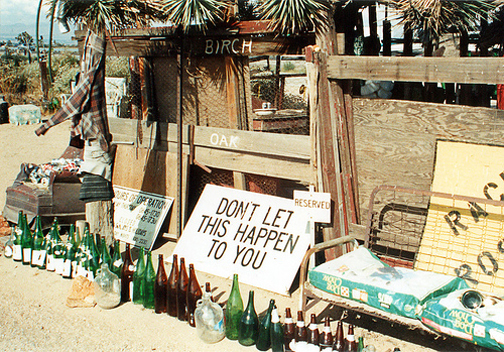 Despite being a California State Landmark, this folk art environment was dismantled. Luckily, some of the pieces were saved and can be seen in the California Route 66 Museum: “Hula Ville – Twentieth Century Folk Art”. Hula Ville was a fine example of the unique roadside attractions once found all along the Mother Road. 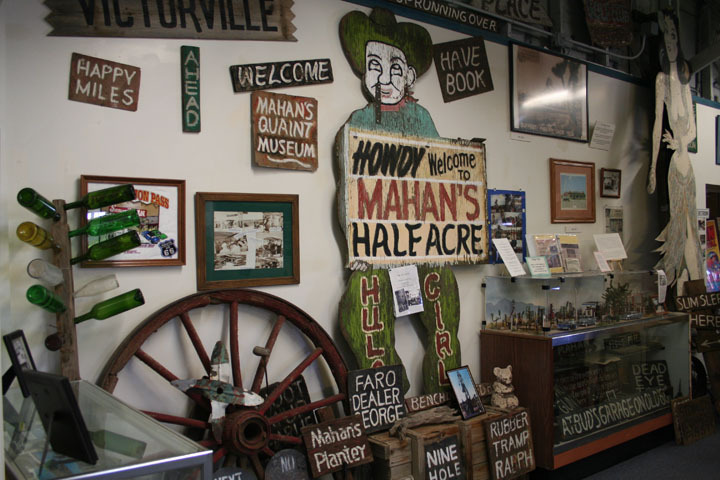 In the mid 1950’s Miles Mahan bought a two and a half acre parcel of desert beside Route 66 with his eye on retirement. 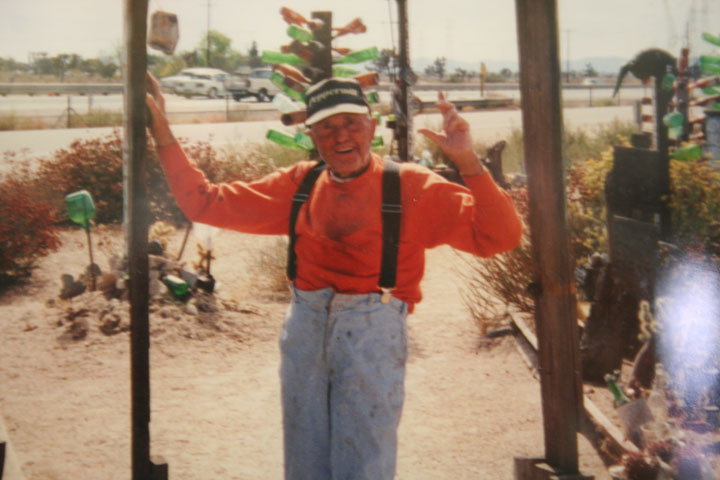 Miles, a retired carnival worker and poet, had essentially camped beneath the high desert stars without plumbing or electricity. 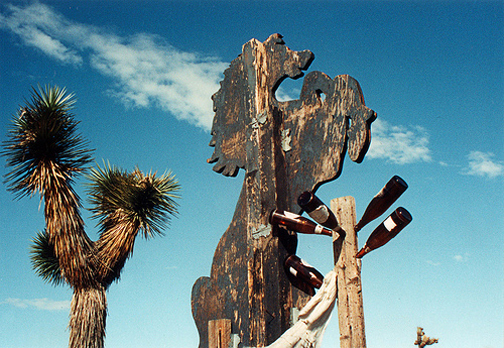 The wine bottle littered land inspired Miles to hang them on nails driven into fence posts, calling it his “Cactus Garden.” He rescued the now iconic nine-foot metal sign of a dancing hula girl from the rubble of a demolished restaurant. When he set her up she towered over 12 feet tall and became a real traffic stopper. 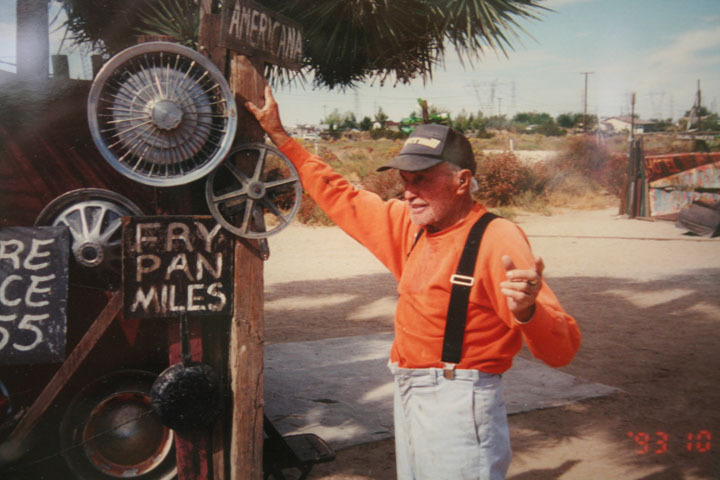 Hula Ville spread north and south from the centerpiece of his huge and beautiful Joshua Tree, creating a Route 66 legend. Miles had no surviving family, so in 1995 when his health began to fail, he had to leave Hula Ville, and it began to disintegrate. 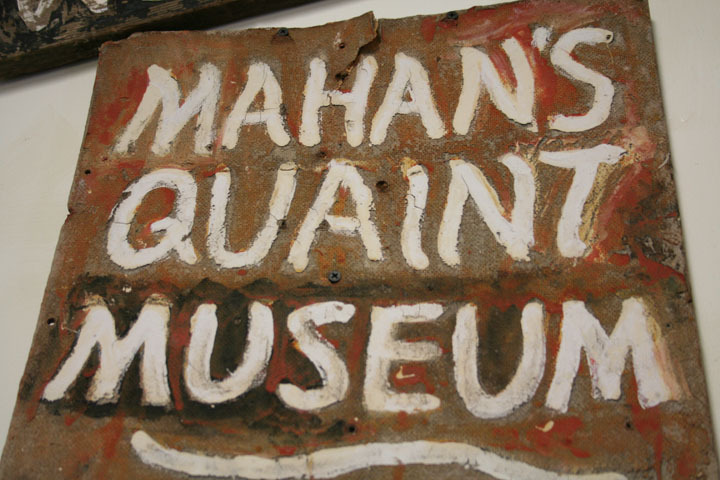 In early 1996 the California Route 66 Museum in Victorville, CA, dismantled the major artifacts and brought them to the museum. 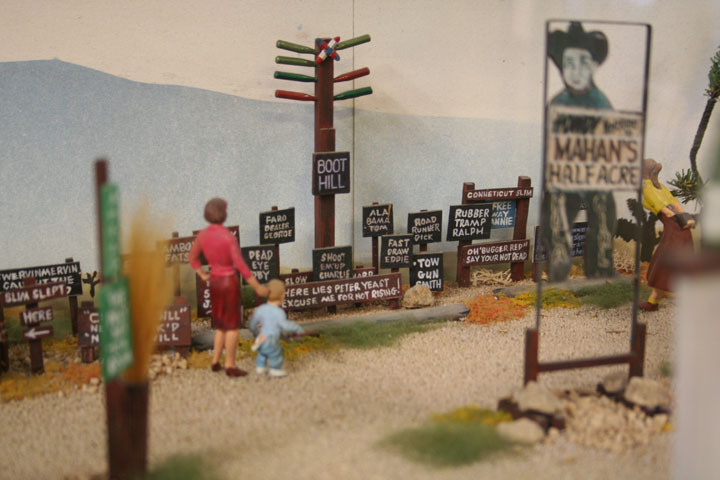 Today many of the Hula Ville artifacts can be found on display at the California Route 66 Museum. Originally a Route 66 road house called the Red Rooster Cafe, the California Route 66 Museum is responsible for preserving one of the best examples of Route 66 folk art to be found today. 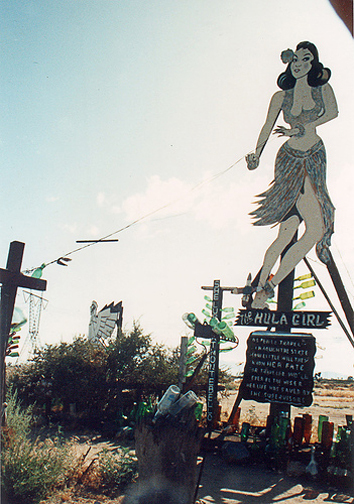 Its premier exhibit, Hula Ville is an example of the unique roadside attractions once found all along the Mother Road. 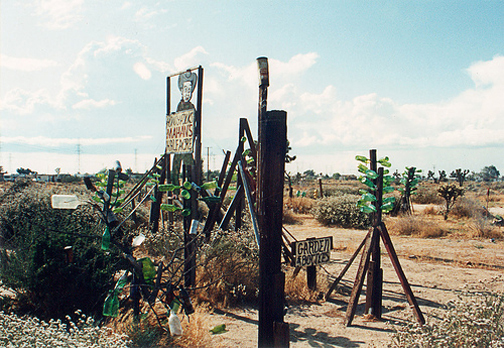 This was a stop on the 2002 Route 66 Caravan, a 66-day road trip led by preservationist and historian, Jim Conkle. He posted more than 50 Hampton “Save a Landmark” signs along the route.